I'm not crazy about this picture, because it make it look like this is some type of computer generated collage. 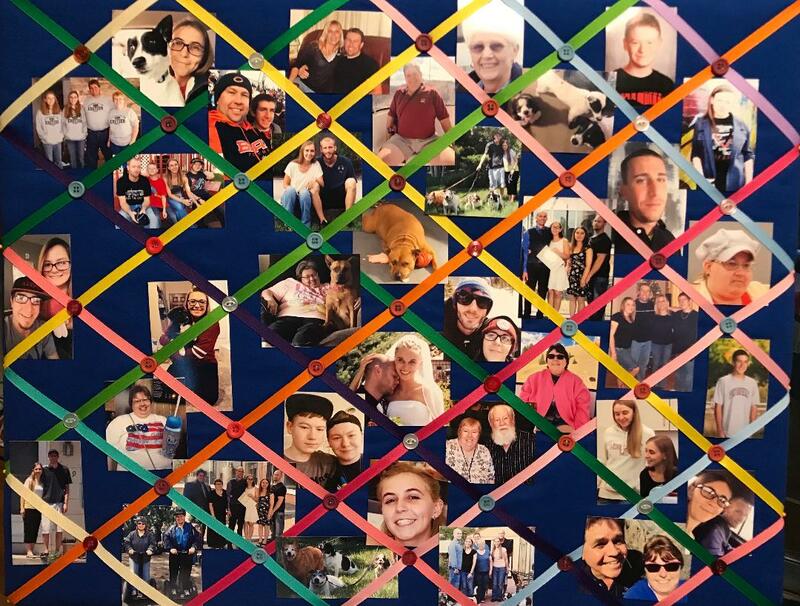 This is actually a picture board, which Margo first made from scratch and then filled it with picture of family. You will hear about Margo's Mom being in an assisted care facility in other posts, here. This was Margo's Mother's Day present for 2018, to both brighten her day and help with memory. She had a stroke in Aug 2017. Patty's (Margo's mom) first comment to a nurse, was to point out her dog near the center.